Dr. Stephen M. Schmitt D.D.S, M.S. Dr. Schmitt received his DDS degree from the University of Minnesota, School of Dentistry in 1975. He earned his specialty certificate in prosthodontics in 1982 from the Wilford Hall United States Air Force Medical Center, San Antonio, Texas, and his Masters of Science degree in prosthodontics from The University of Texas Health Science Center at Houston, Dental Branch. Prior to his retirement from the Air Force, Dr.Schmitt was chairman of the Department of Prosthodontics and program director for Graduate Prosthodontics at Wilford Hall USAF Medical Center. He also served as consultant to the USAF Surgeon General for prosthodontics. Dr. Schmitt has lectured throughout the United States and Europe and has published numerous articles in respected medical journals. He is a Diplomat of the American Board of Prosthodontics and a Fellow of the American and International College of Prosthodontics. 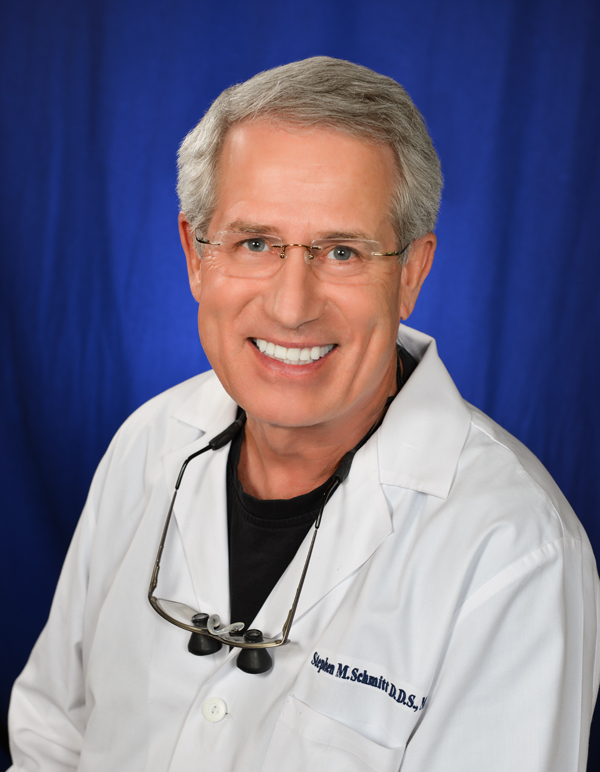 Today, Dr. Schmitt is actively involved in the use of implants, digital imaging, computer design, milling and additive manufacturing technologies in the treatment of advanced dental problems at his private practice, Precise Smile in San Antonio, Texas.